향나무는 우리나라 중부 이남을 비롯해 울릉도와 일본 등에 분포하고 있으며, 상나무·노송나무로도 불린다. 이 나무는 강한 향기를 지니고 있어 제사 때 향을 피우는 용도로도 쓰이며 정원수·공원수로 많이 심는다. 울릉도에는 본래 많은 향나무가 자라고 있었는데, 사람들이 나무를 함부로 베어가서 많이 줄었다. 현재 남아 있는 나무들은 사람들이 접근하기 어려운 절벽 근처에 자라고 있는데 대표적으로 대풍감과 통구미를 들 수 있다. 대풍감의 향나무는 바람이 강한 해안 절벽에 자라고 있기 때문에 키가 크게 자라지 못하였다. 이곳은 예전에 울릉군청이 있던 곳으로 관리와 감시를 잘하여 향나무 집단이 보존될 수 있었다고 한다. 대풍감의 향나무 자생지에서 자라고 있는 향나무는 바닷바람의 영향으로 키가 크지는 않으나 오랜 세월 동안 다른 지역과 격리된 특수한 환경 속에서 자라고 있어 향나무의 진화연구에 있어서 귀중한 학술적 자료가 되므로 천연기념물로 지정하여 보호하고 있다. 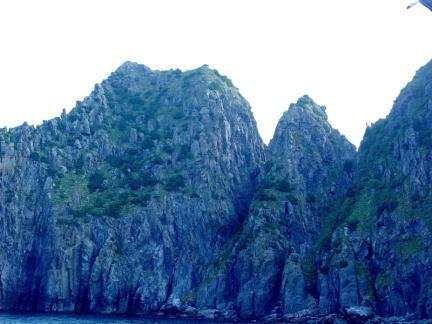 The Chinese junipers grow throughout the middle-southern regions of Korea to Ulleungdo Island and Japan. 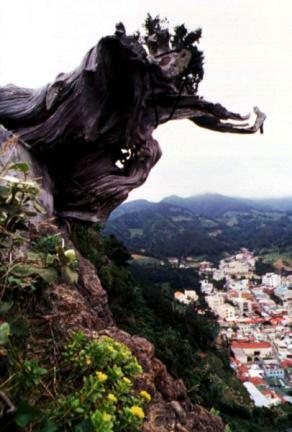 This tree, called "Sangnamu" in Korea, is used for burning incense because of its strong fragrance, and is planted in gardens and parks. 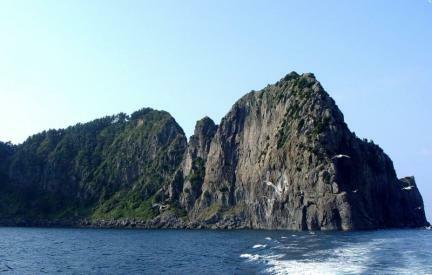 The Natural Habitat of Chinese juniper in Daepunggam is located in northwestern Ulleungdo Island. 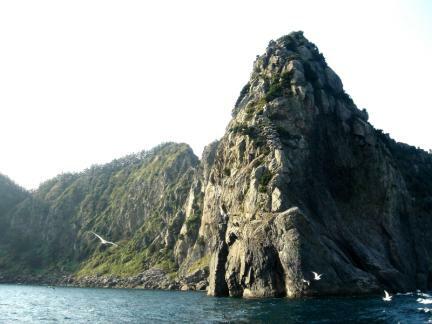 In Ulleungdo Island the number of Chinese juniper trees had grown, but their number has recently been decreasing because of lumbering activities. 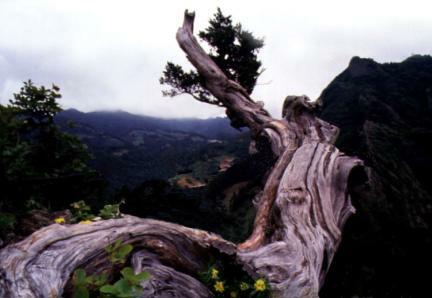 Existing trees grow near a cliff where people can't get close to them easily. 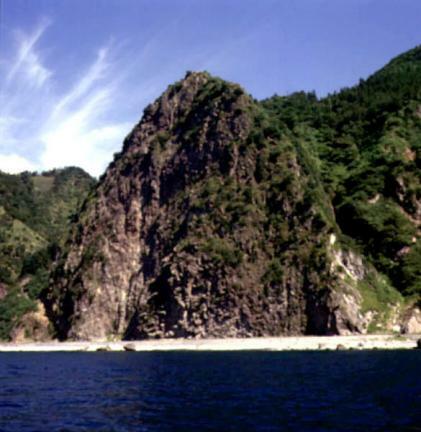 The Chinese junipers in this region are not able to grow taller because of their growth along the coastal cliffs. 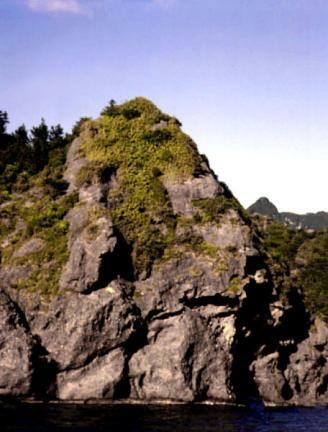 The natural habitat of the Chinese juniper in Daepunggam is designated and conserved as a Natural Monument.